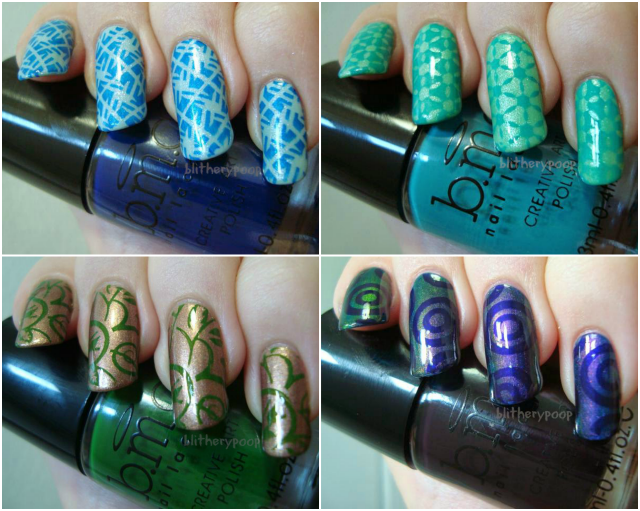 Time for a look at more of those new Bundle Monster stamping polishes! If you missed it, Part 1 was the "basics". Today I've got the four cooler colors and next time I'll finish up with the brights. I used only Pueen Buffet plates this time, since my nails have gotten long. 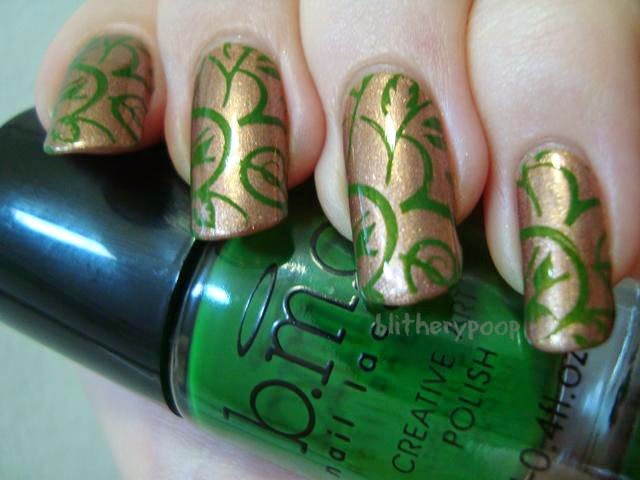 I really wish there were more plates for nails longer than 15mm! Actually...there will be more very soon, but that's a tangent I'll save for later. We're here for the polish now, so let's get to it! This might be the best of the bunch so far! Completely effortless, transferred perfectly, and just generally great! No smearing, distortion, patchiness, any of it. Really impressive! 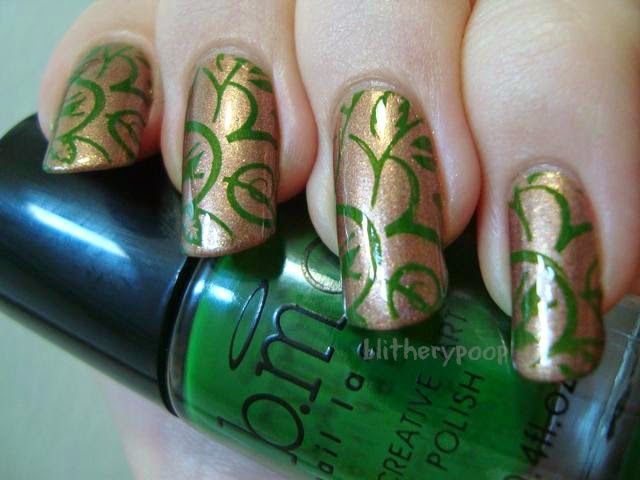 Another great formula for stamping, but it is a little sheer. 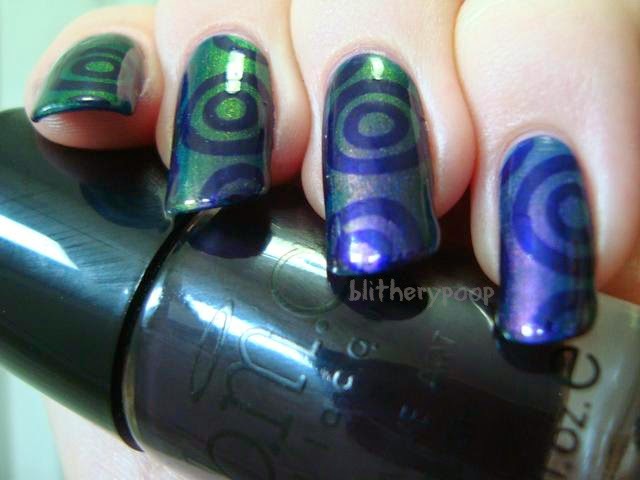 You can see Bring It Sheer's shimmer right through it. 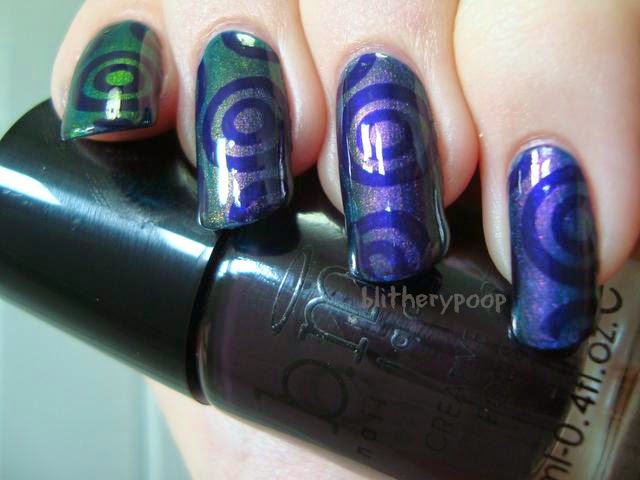 Creams and crellies can be tough to stamp with, so I'm extra impressed. I had a little trouble with this one. 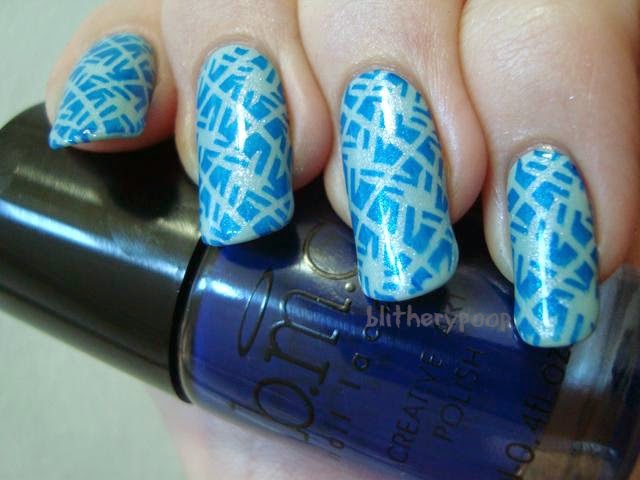 It didn't transfer onto the stamper all that well and needed multiple attempts for each nail. There are also some patchy areas. The most visible one is on my pinkie. They're not glaring, but they're noticeable in photos or up-close in person. 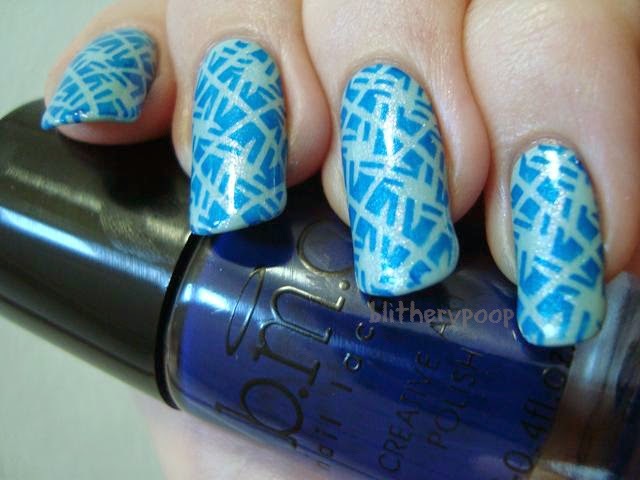 Yet another winner with a great stamping formula! I can see myself using Amethyst a lot. Bottom line: Overall, these four are much better than the first four I tried. The only one that isn't flat-out great is Lucky Green. It was a bit of a hassle to get the image to pick up, but at least it didn't smear. Amethyst and both blues are all very good. Since I gave the previous bunch letter grades, I might as well stick with that. Sky Blue gets an A, Royal Blue a B+, another A for Amethyst, and a C for Lucky Green. On the subject of Pueen, they've got a new "infinite" set coming out today. I preordered the Encore set a few days ago and I can't wait for it to get here!